The continuing opposition by loyalists to the decision by Belfast city council to limit the flying of the Union Jack is a product of a deeply sectarian colonial settlement that smothers the importance of class. The disturbances were pretty predicable in the context of summer riots over parading, intra unionist rivalry and rising anger in traditional protestant working class communities over shortage of jobs, housing and perceived gains made by the ‘nationalist’ community. The mass inflammatory leafleting by unionist parties in the days leading up to the council vote served to heighten fears in a constituency which is easily inflamed and mobilised in defence of the realm. This is not the cause of the disturbances; but the logical conclusion of capitalist decay and opportunist politicians battling for the hearts and minds of protestant working class communities- disenchanted and disillusioned with the peace dividends promised over 10 years ago. 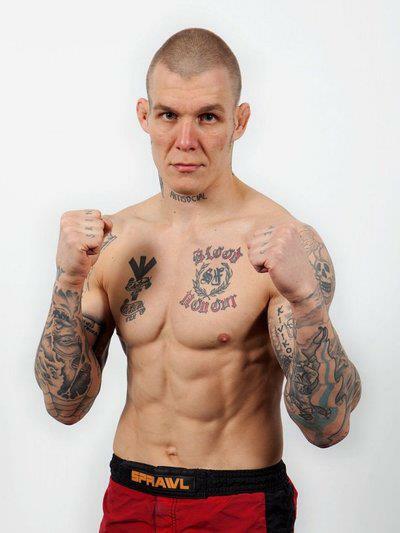 Last week, Anti-Fascist Action (AFA) recieved news that Neo-Nazi, Niko Puhakka was to compete in a MMA bout in Dublin. After AFA got the word went out on social media (which was then spread by the WSM, Rabble, LookLeft and others), and email campaign ensued and fight promoters Celtic Gladiator pulled Puhakka from the line-up. The following interview was conducted with AFA's Morry Donnelly, just before that news broke. From across the country, over three hundred members of the Campaign against Household and Water Taxes attended an open discussion in the Red Cow, Tallaght about the future of the campaign as it faces into a new phase of opposition in 2013. The numbers attending far exceeded the organisers’ expectations and delayed the start of the meeting for half an hour. In the midst of a media storm over the flag protests our local politicians have one again nailed their colours to the flag that does not distinguish between green and orange- that of capital and greedy profiteering. The proposal by Stormont minister Nelson McCausland to scrap the Housing Executive originally set up to provide fair allocation of public housing is another pillar in the ongoing savage attacks on our class. Last weekend in the largest show of strength in over a decade thousands of anarchist marched to protest against the violent eviction of the squats of Villa Amalias and Skaramagka and Patision Sts in Athens and also the very repressive climate that police and state have created the last months in Greece. If there is anything we can take from the continuing street protests in loyalist heartlands is that we are from powerless if we utilise direct action rather than constantly lobbying our politicians and peacefully marching from A-B.